Brad Paisley delivers some Country Rock and classic guitar rifts with his performance of Sharp Dressed Man. Watch his performance versus the original ZZ Top Music video and see if you like the Country Rock version the best. 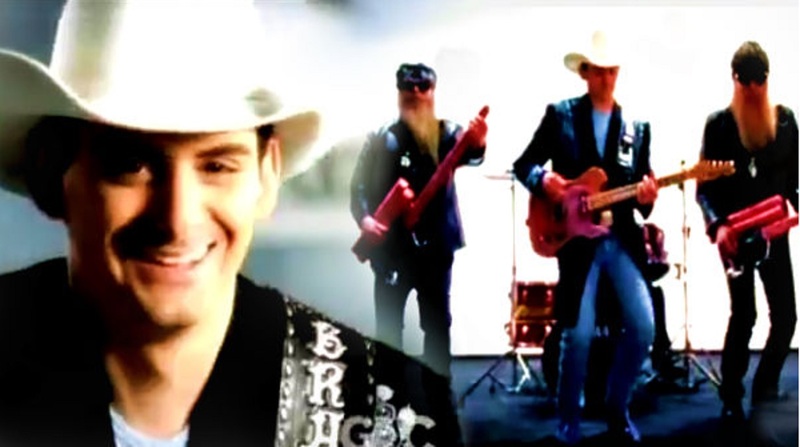 Watch this music video by Brad Paisley performing Sharp Dressed Man. Compare Brad’s version of the song to the original ZZ Top classic and check out the lyrics to this tune below. Watch the official music video from 2013 for ZZ Top’s classic tune “Sharp Dressed Man”. This song was featured on a tribute album to ZZ Top where several Country artists performed a ZZ Top song.